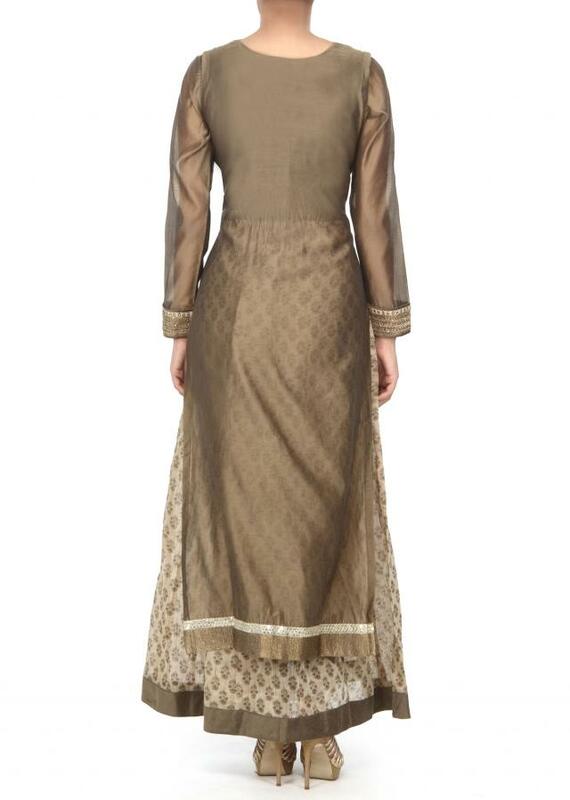 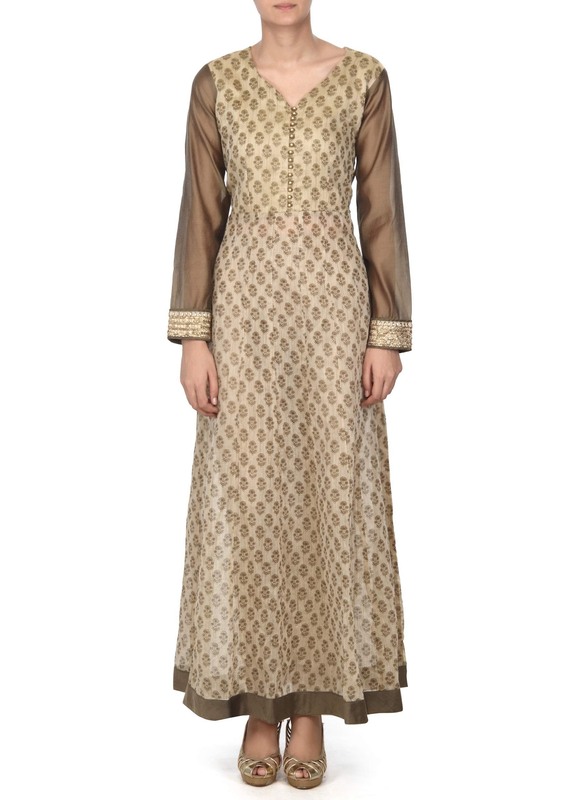 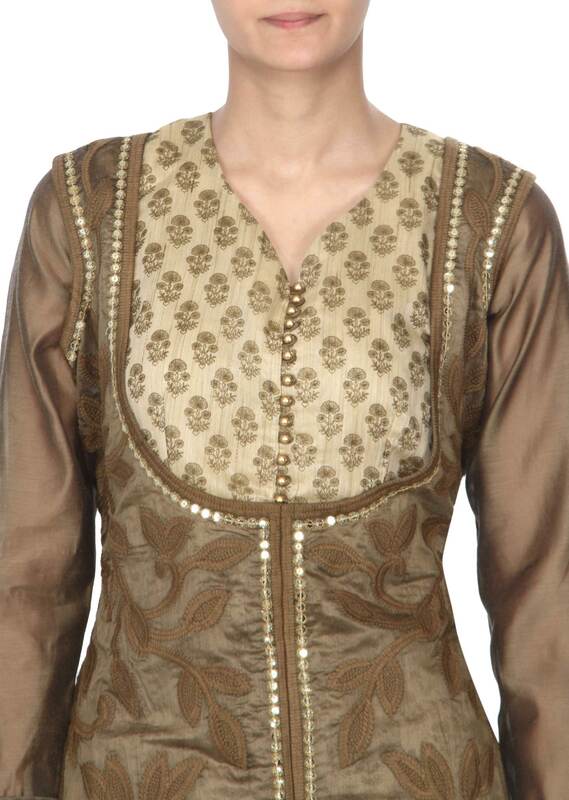 Cream anarkali suit feautring in silk with floral printed butti. Matched with another top layer in olive silk with thread embroidery all over. 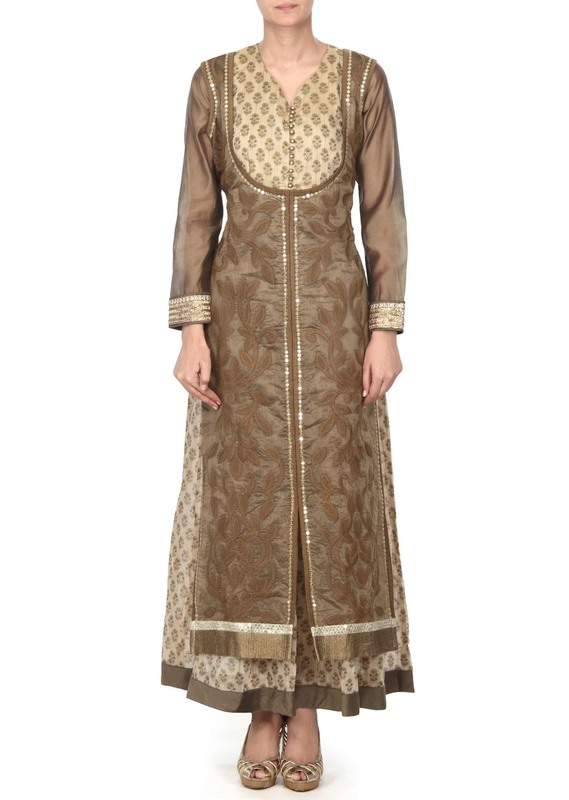 Churidar is in lycra and dupatta in printed silk.